What If I told you that you could own your own business where it cost you next to nothing to get started as compared to a traditional brick and mortar business ANDyou could truly make a difference? Make a difference in SO many ways. Make a difference in your life, literally change others lives and improve health and potentially longevity. What am I talking about? Only the best Network Marketing Opportunity to come along in a very long time. If you are one of the people like me that truly wants to make a difference in people’s lives, then you definitely want to keep reading. You see Well Beyond Corp.,the makers of Beyond, the healthy chocolate are on to something. Not only do they currently have the highest antioxidant products on the market, they actually have the science to back up their products. First off, all their products have their ORAC score, (Oxygen radical absorbance capacity) verified by an independent lab. And they don’t just have it verified and tested once, they continue to have their products ORAC scores verified on a regular basis. Even better, their Beyond cocoa based high antioxidant weight loss meal replacement was featured on the front page of the current issue of the American Journal of Bariatric Medicine and includes a 3 page study verifying the success of the high antioxidant cocoa solution. See, Well Beyond found a way to cold press the chocolate keeping in all the high antioxidants found in the original cacao bean. And the process has been patented preventing the competition from creating a similar product. Well Beyond is a category creator. 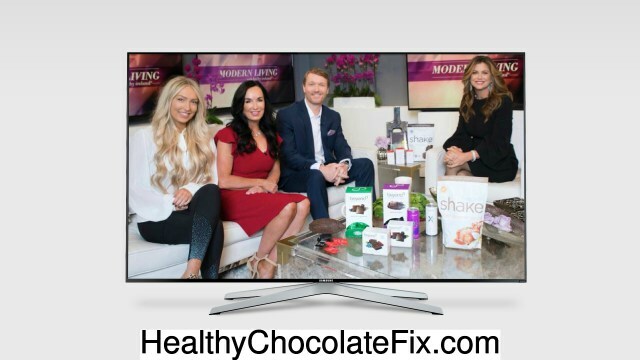 Not only do you have a weight loss product that works like no other on the market today, there is also a line of products including energy drinks, healthy chocolate products and a soon to arrive anti-aging division that baby boomers everywhere are craving for. You see the difference with Well Beyond is that it is high antioxidant product that can get you the nutrition your body craves. Antioxidants have the science to back them up and are truly life changing. What I mean is that if you are in the grocery store aisle, and you see two chocolate bars, are you going to realize one is chock full of antioxidants that combat free radicals or are you going to go for the traditional Hershey bar not realizing you are missing out on the highest antioxidant superfood on the planet? One of the cool things about getting involved in Well Beyond is that you have the potential to be your own best advertisement. I mean look at me, heavy all my life and so far I have lost 60 pounds on this high antioxidant diet. And it works, and its easy, and did I mention its chocolate? So if you are thinking of losing weight,why not improve your health and wealth at the same time? Because honestly this is what is going to happen. You are going to start out with the high antioxidant shake or cookie and the weight is going to start coming off and you are going to realize how easy this truly is. Then you are going to run into an old friend and they are going to be like wow, you look amazing. Any they are going to ask if you lost weight. 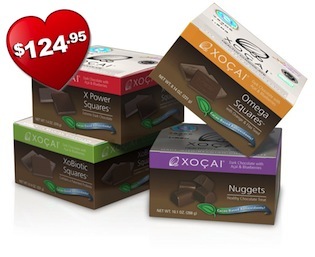 You are going to share about this healthy chocolate and they are going to want to get started. Some people are going to share it with three friends and get their product free which is awesome. Some are going to do this part-time, cover the cost of their product and a nice part-time income to boot. Then there are going to be those who see the vision and realize this is a huge market. Do your due diligence and contact me as soon as you can. Get in before your competition does. So do what I did, lose some weight, share some chocolate, build a team and grow your business. Honestly this is the best network marketing business I have ever found. You owe it to yourself to at least check it out. And even if this is not the opportunity you are looking for, now is the time to lose that extra weight you have wanted to get rid of or focus on your health. All you need to do is change your chocolate. Honestly I am losing weight eating Chocolate shakes, cookies and chocolate. I eat a normal dinner and snacks and this has been so easy to follow. When I have a craving, I just have a 35 calorie chocolate power square and the craving disapears. I can’t imagine a better diet and the health benefits are through the roof. Eating high amounts of antioxidants and flavonoids is good for your health. How to get involved? First order as a customer. If you want to do this as a business, start with a experience pack. Once you share with 3, you can upgrade to a promoter. Get yourself a wholesale account for just $49 and then you will be an official promoter. Most people start out at the promoter level which gives you the opportunity to get thank you checks from the company when you share the product and residual income and bonuses. Even better? Sign up for their subscription promo and you will get a FREE product every 3rd subscription for the first year. You don’t want to wait on this. Now is the time. Don’t miss it!